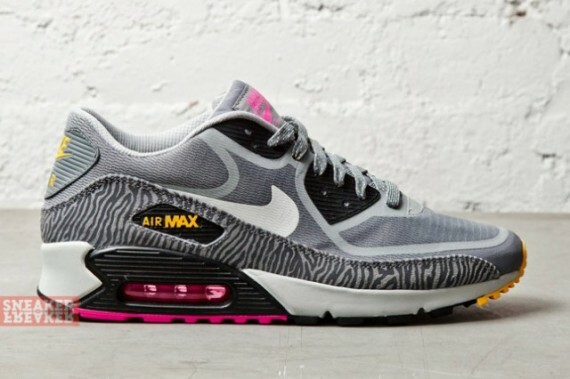 Nike Sportswear's new look Air Max 90 PRM Tape arrives in a unique zebra-accented design. 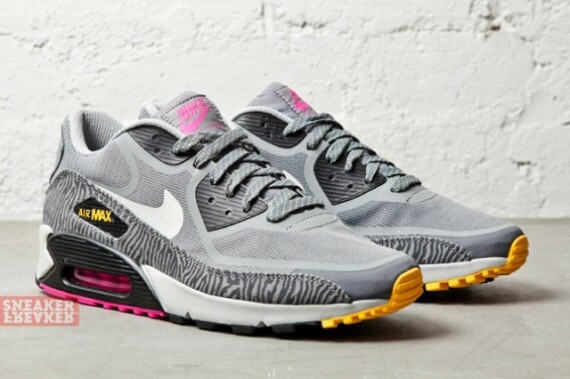 NSW updated the Air Max 90 with a full Hyperfuse build and a tape-bonded construction over a classic Air Max 90 sole. 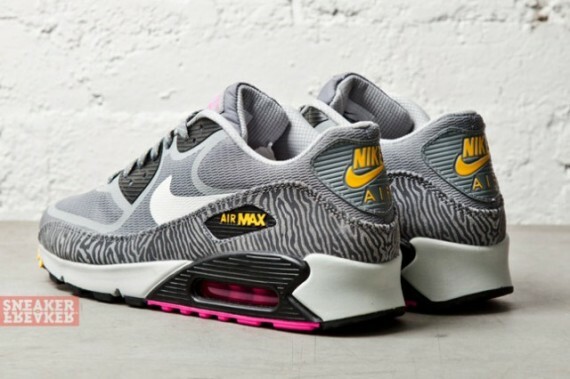 This new look for the ladies arrives predominantly covered in grey with pink accents, while a classic zebra print adds some energy over the suede mudguard. Look our for these soon at select Nike Sportswear accounts.